I seem to be cooking a lot of food recently that was popular at 1970s dinner parties. We’ve already had the Classic Boeuf Bourguignon and Beef Stroganoff. The prawn cocktail and Black Forest Gateau loom alarmingly on the horizon, along with the floaty maxidress. Today though I bring you the Classic Cheese Soufflé. It seems to have dropped out of fashion, perhaps because the twice-baked version is easier and less scary to make. 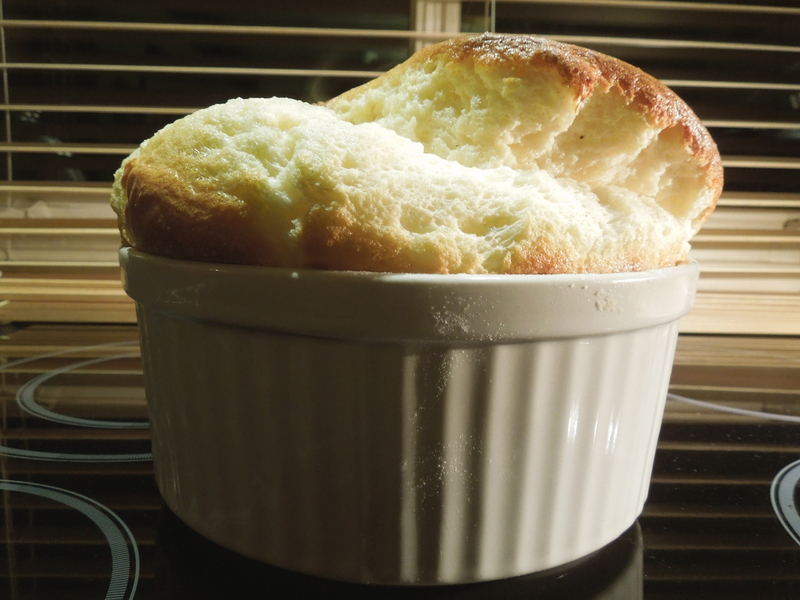 But a proper soufflé is a thing of beauty, even if it comes out as wonky as mine. As long as you don’t open the oven door to check on it while it’s cooking and provided everyone is already sitting at the table when it’s ready, it is nowhere near as disaster-prone as you may think. Prepare a soufflé dish of about 18 cm diameter by buttering it liberally, then coating the inside with flour, tipping out the excess. 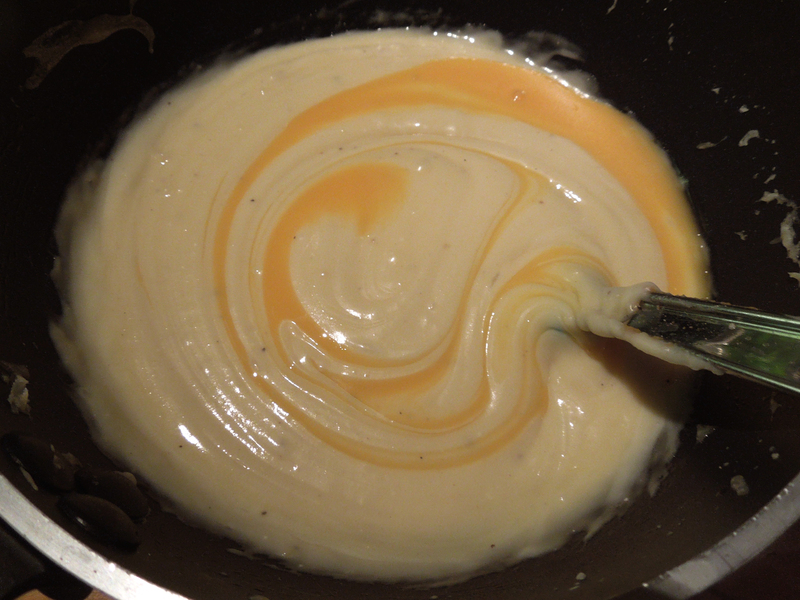 Make a roux by melting the butter in a pan on a medium heat, then stirring in the flour and cooking for a minute or so. Slowly add the milk, stirring continuously, until you have a thick sauce. Cook for a couple of minutes more so the floury taste disappears. Now add the cheese and stir well until it has melted. Season with salt, pepper and the mustard. Remove from the heat, lightly whisk the egg yolks with a fork and gradually add to the sauce, beating well each time to amalgamate. Keep the mixture warm (off the stove) while you whisk the egg whites to stiff peaks. Add one tablespoon of the whites to the mix in the pan and stir it in, then gently fold in the remaining egg white, using a metal spoon. The idea is to mix it so there are no blobs of egg white remaining, without knocking all the air out. Check the seasoning and turn it gently into the soufflé dish. Put it in the oven and bake for 35-40 minutes until it’s brown and puffy. On no account leave it in the oven while you wait for your guests to assemble or it will overcook and turn dry. Make sure everyone is sitting at the table, forks in hand, and serve immediately before the soufflé collapses then sit back and wait for the compliments. This entry was posted in Eggs and dairy, Mains, Vegetarian and tagged classic cheese souffle, egg dishes, eggs and cheese by Linda Duffin. Bookmark the permalink. You are a star. Off to Barcelona and France tomorrow, so it’s Clear-the-Fridge Tuesday. 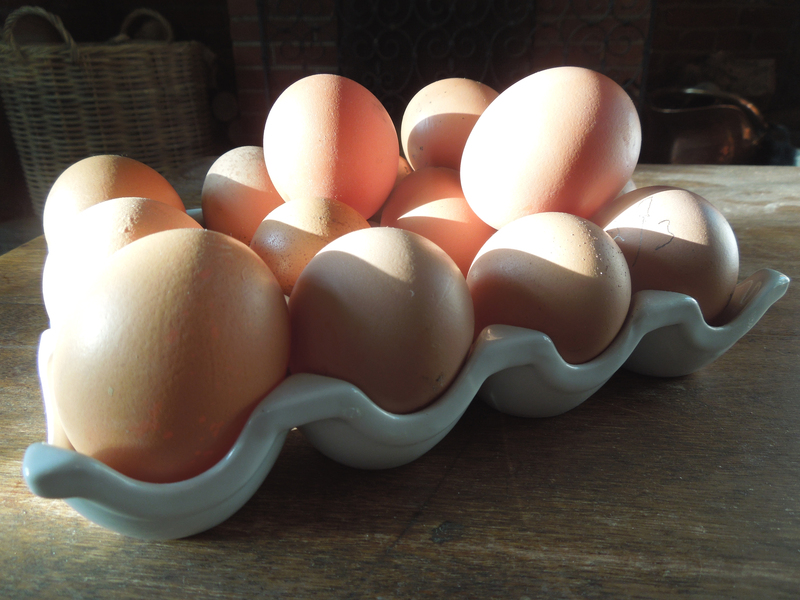 It was to have been mac cheese, but that doesn’t get rid of the eggs. Soufflé it is. I don’t know why it always strikes terror into people: I think it’s fairly fool proof, as you do, and it’s certainly a crowd-pleaser. Happy to have been of service. 🙂 Have a great trip. I should really do another soufflé. I have managed to get epic results with crab. However, they always shrink back down before I can get the camera set up. This looks delicious. You only really get one go at the photos, don’t you? That’s why my background looks a bit lop-sided but then so did the soufflé. Crab soufflé sounds divine, must give it a go. Looks great. I am okay at the twice-baked but my last attempt at the classic one looked like roadkill (although tasted good). Well, I don’t think mine would win any beauty contests, but it tasted good too. I’m not dissing the twice-baked ones either, they are great when you’re busy and need to cook ahead. Love, love, love soufflés. Perhaps it’s time for a revival? Me too. Never gone out of fashion in this house!